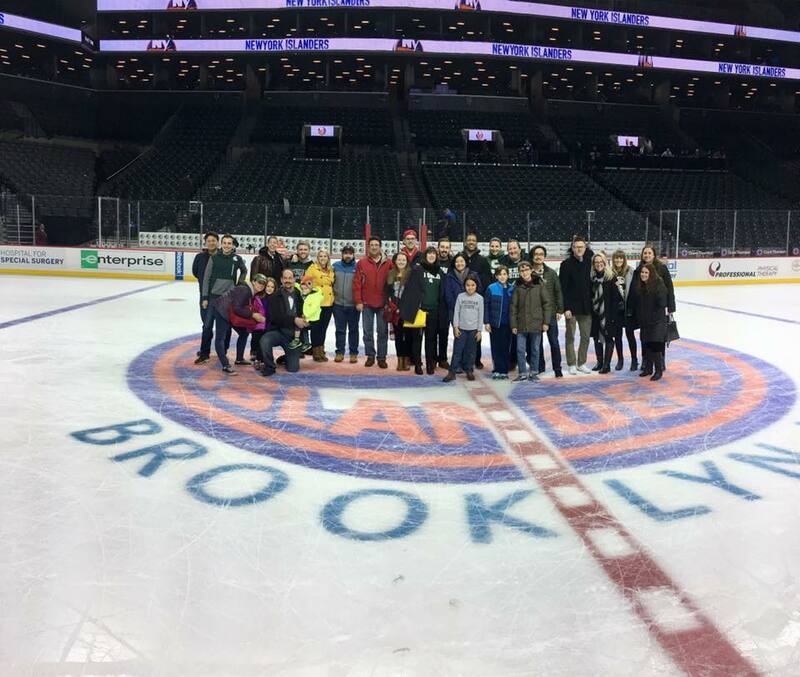 Nearly 60 Spartan alumni and friends saw a fast-paced hockey game December 4 at the Barclays Center in Brooklyn as the Detroit Red Wings defeated the New York Islanders, 4-3 in overtime. Following the game, majority of the group gathered at center ice for a photo. Spartans are fortunate in ways beyond having a winning season, and ’tis the season to give back! We invite you to bring new or gently used hats, gloves, mittens, scarves, warm socks, etc. to Blondies (212 W. 79th St.) during the football watch party vs. Ohio State on Nov.
Want two tickets to the biggest game at Spartan Stadium since the Game of the Century vs. Notre Dame? Well, you’re in luck because we have two tickets to Oregon vs. Michigan State on Saturday, September 12. To win them, all you have to do is submit a bid in our blind auction (bidding will start at $200 total). On Saturday, April 18, 2015 several New York-area Spartans (and some visiting from East Lansing) headed to the Bronx to participate in the annual SPARTANS WILL. POWER – MSU Global Day of Service. This year’s volunteers did yard work, gardening, painting and more at Bissel Gardens, a community garden.